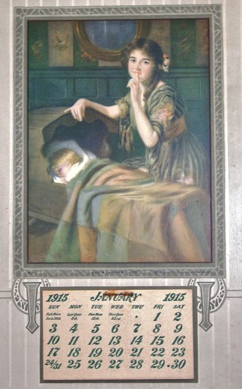 One hundred years ago World War One was gaining momentum across Europe. 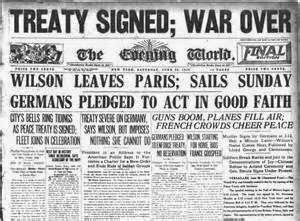 But on the evening of January 19, 1915 the war took a turn that made all participants realize it was not going to be like any other war. On the night of January 19, three German Naval Zeppelins, L3, L4 and L6 were to carry out the first strategic bombing raid, but airship L6 had mechanical problems and had to turn around. Dirigibles L3 and L4 proceeded on toward the target, the town of Humberside, but strong winds forced the raid to end quickly, so the Zeppelins sought targets of opportunity on which to unload their bombs. The towns of Great Yarmouth and King’s Lynn on the eastern coast of England were hit, instead. Four people were killed when bombs fell from the sky: Martha Taylor and Sam Smith died in Great Yarmouth, Alice Gazely and Percy Goate were killed in King’s Lynn that night; the first aerial bombing raid had been completed. The first idea for a Zeppelin came about in 1874 and was built in 1893. 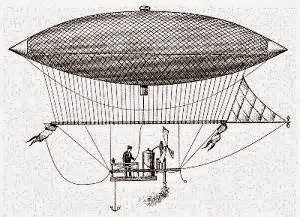 Germany embraced and patented the balloon in 1895. (The U.S. issued a similar patented in 1899.) 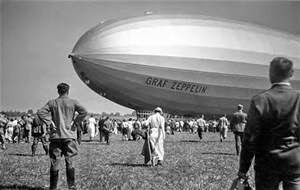 Named for its inventor, Count Ferdinand Graf von Zeppelin, the rigid steel-framed airship was propelled with a motor and carried a crew of about 20, along with massive amounts of hydrogen gas for fuel. The dirigible was first used to carry passengers between German cities in 1910. But the Zeppelin was temperamental and not sturdy in high winds; it could be brought down by any adverse weather and most ended their careers crashing to the ground due to high winds and bursting into flames. 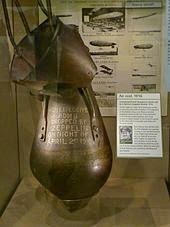 Since the Zeppelin did not stand up well to being fired at (hydrogen gas was extremely flammable), the Germans decided to use the dirigibles for bombing villages and towns that did not have weapons or military stations, thereby killing or wounding civilians in an attempt to lower the morale of the English. 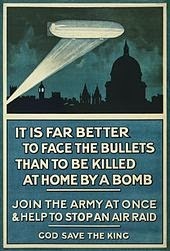 Instead of lowering morale, such raids only re-enforced the British sense of outrage and united English citizens against the Germans. Most Londoners would rush out into the streets when an air-raid signal was given in order to cheer on the English pilots defending their country against the Germans in the air. Although the dirigible could travel great distances, antiaircraft fire rendered the airship practically useless in war compared to the airplanes being used in battle. 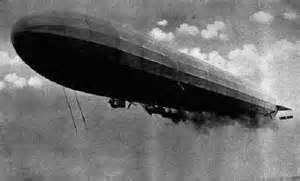 By 1915, the main use of the Zeppelin was for reconnaissance over the Baltic and North Seas. By the end of the year, the German Navy had 15 airships in commission. 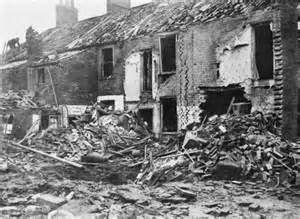 The air raids continued into 1916. By 1917, the Zeppelin could now fly higher with an altitude of 16,500 feet and a ceiling of 21,000 feet, but high winds and engine problems continued to plague the ships. They were soon replaced by airplanes, which could carry more bombs, resulting in more deaths, injuries and damage. 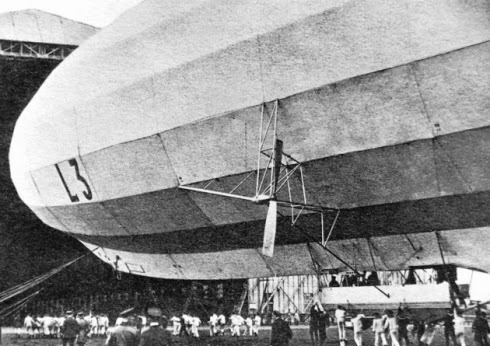 In all, 84 Zeppelins were built by Germany during the war: over 60 were lost – half to accidents, weather and mechanical problems: the other half due to repercussions from the enemy. 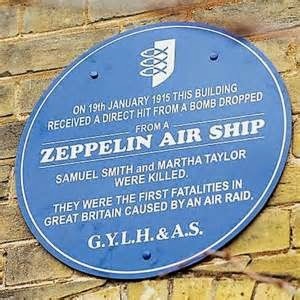 German Zeppelins took part in over 50 bombing raids on Britain during WWI, killing 557 people and injuring 1,358. It would take a few years before Germany, again, became openly involved with the production of Zeppelins, this time for the purpose of carrying passengers and mail across the ocean, and around the world.